Health Flights Solutions is a global medical travel service provider, aimed at providing a range of services and solutions for healthcare providers, insurance companies, self-funded employers, governments, medical tourism facilitators and individuals. The company has made a significant investment in the development of the industry’s leading medical travel technology, Global Patient System®, which offers stakeholders the ability to increase productivity and improve the patient experience through automation and process management. This collaborative platform promotes well-coordinated patient management, medical document transfers, ancillary service management, patient engagement, and a lot more. We are committed to ensuring data security and protecting patient privacy, whether it’s complying with the strict US HIPAA standards or the even stricter European directives. We hold 5 US patents in the medical travel space. Our Medical Travel Administration program allows self-funded employers and insurance companies to offer medical travel as a supplemental benefit to their employees/members. Under the program, employees/members have the choice to travel domestically or internationally for certain medical or dental procedures. Our customized services can range from concierge services for treatments at designated centers of excellence to the implementation and management of a turnkey, full-service domestic or international medical travel program. We offer a trusted online marketplace to connects consumers and buyers of healthcare services with the world’s leading providers. 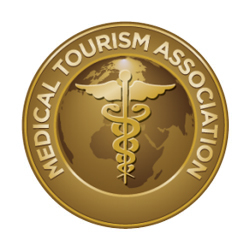 MedicalTourism.com is the leading, highest-ranked website for medical tourism. In addition, we offer services to consumers looking for medical, dental, pharmaceutical, or wellness travel.